(Berlin) After much deliberation the German government has decided to get tough with those Islamic bigots who feel they have to spread the message of Jihad the only way they can. So how are the Germans going to achieve this much harder stance? 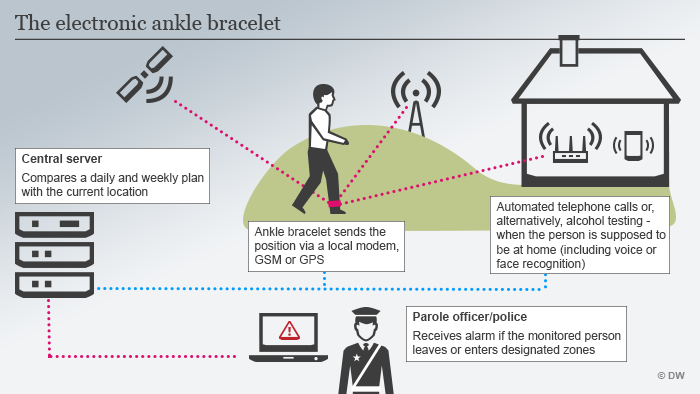 Why they are going to fit ankle bracelets onto extremists in which to be able to monitor their movements. "Ankle bracelets are not a panacea but they are an important instrument to facilitate the surveillance of dangerous people,"
I'm sure that those who have no problem dying in which to promote their message of Jihad are quaking in their boots at this travesty of Human rights.